I have not been able to do much crocheting in the past couple of months. I have needed to rest my arms on most evenings instead. So this month I am sharing a crochet project from last year. I made a cowl using a chunky, brown yarn from the gift basket I received from a sweet lady in Georgia. This picture of Adelaide and me was taken in February of last year. I can't believe how much Adelaide has grown in the past 11 months! 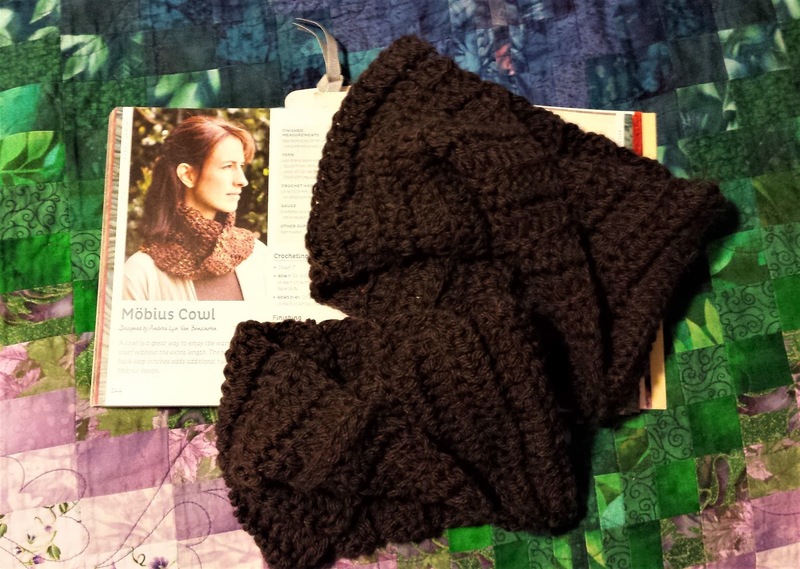 I crocheted the Möbius Cowl from my One Skein Wonders book. I then adjusted the pattern to make a small cowl for Adelaide using the leftover yarn. These cowls are soft and warm. I usually keep mine in Cordell's basket so that I can pull it out if I get chilly. 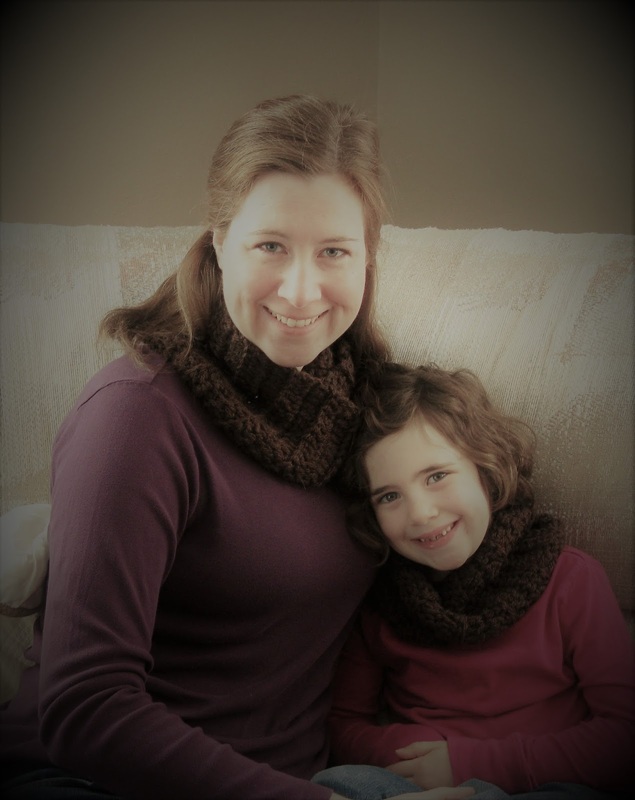 Warm cowls are great for chilly Minnesota winters! 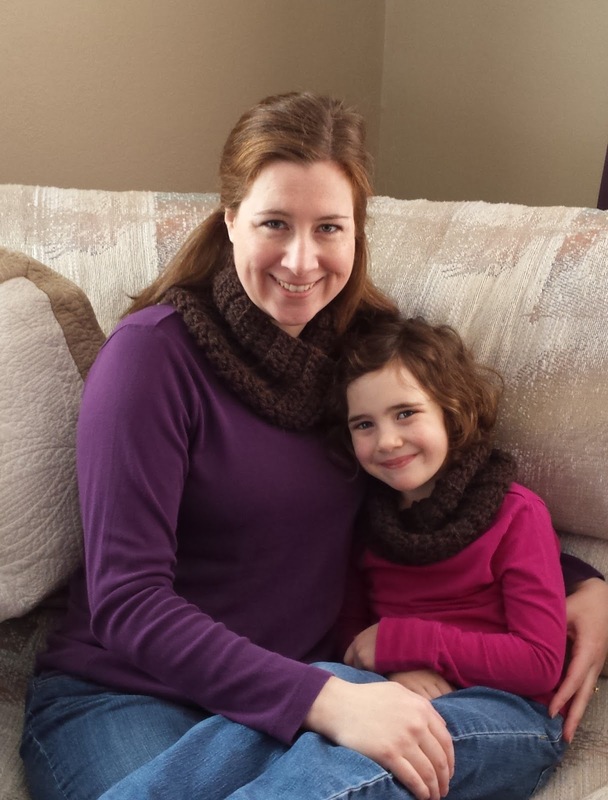 And having matching cowls with Adelaide makes it lots of fun. How have you been keeping your hands busy lately? 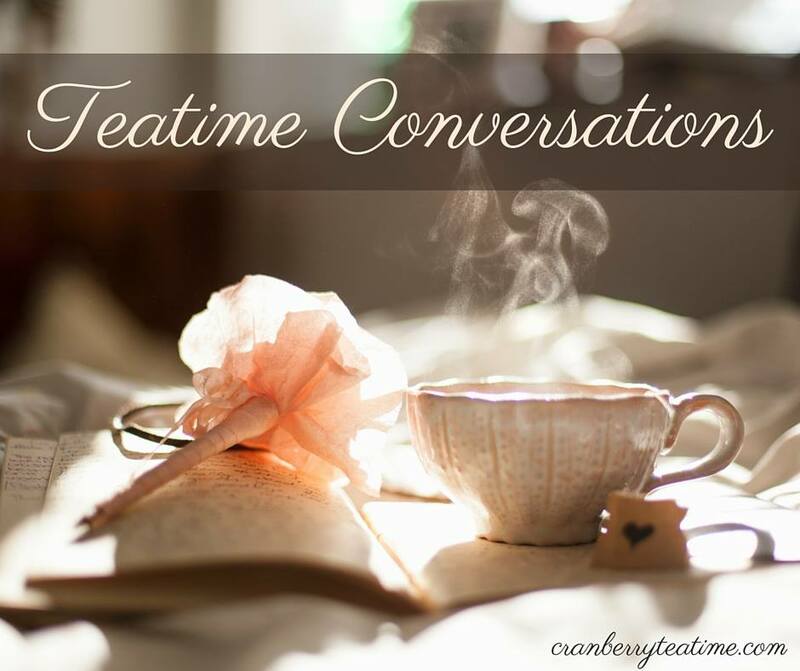 Have you been working on any craft projects?